So you’ve found your dream car, but there’s one slight problem: She’s currently an ocean away in a far off country. What to do? Well, distance is no problem, because international car shipping companies can help bring your dream car home. Whether you’re selling your car to someone in South Africa, importing an automobile from the UK, or moving to China and wishing to take your beloved car with you, the options are endless. When moving abroad is causing you sleepless nights, you can rest assured that Nationwide Auto Transportation has you covered. We can ship your vehicle to or from any port in the USA, from where you can arrange an international shipping company to provide the air or sea freight of your vehicle to its final destination. When hiring an international car shipping service, it is important to look for a renowned service, rather than opting for the cheapest quote. Always be sure to read auto transportation reviews and learn everything you can about the company’s services. Also, be sure that the company will obey the various laws relating to car imports and exports. Ocean freight auto shipping container – Ocean freight shipping companies can load anywhere from one to four vehicles in one container. Shipping multiple vehicles in a single container help minimize the costs. When shipping a vehicle by ocean container, the car does not have to run or drive. Shipping companies usually do a weekly vehicle consolidation. Roll-on / Roll-off services – One of the most common methods for shipping oversize vehicles such as RVs, boats, buses and machinery, is roll-on/roll off shipping by ocean. In order to make use of this service, the vehicle being shipped must be in working condition. 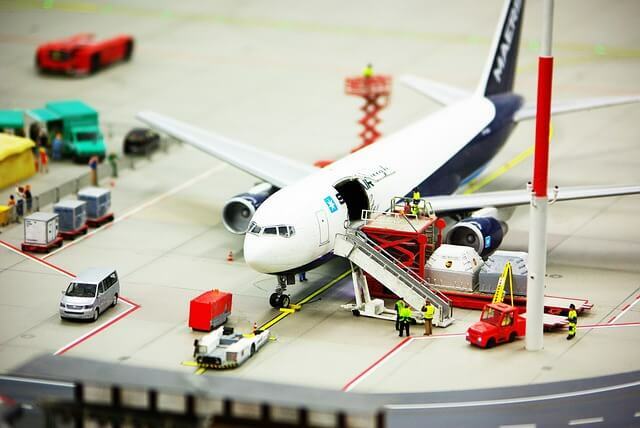 Air freight – This method is the fastest way to get your vehicle to its destination. Your car will be collected from one airport and delivered to the airport closest to the destination. Optionally, vehicles may be crated for this international car shipping method. When you contact Nationwide Auto Transportation, we can help advise on the pros and cons of the different international car shipping options applicable to your vehicle.